We offer an extensive range of polythene bags, from clear, plain bags, to bin liners and waste sacks. Whatever you need to store, move or protect, we’ve got the right product for you. 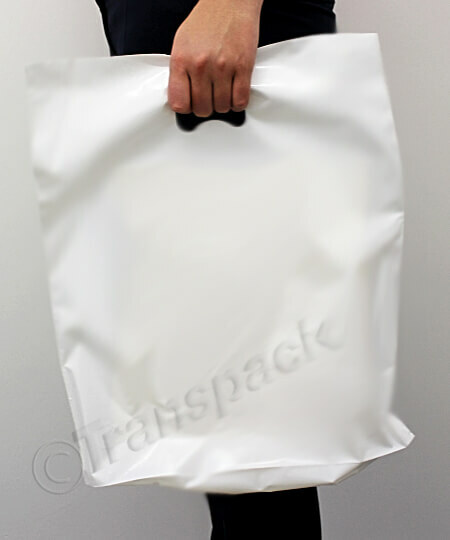 Our clear polythene bags come in almost 30 different sizes and three strengths. They are also food safe and 100% recyclable. 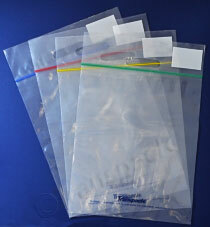 If you don’t want clear plastic bags, we offer heavy duty coloured poly bags as an alternative. For filing and office supplies, our zip wallets, school book bags and plastic wallets are ideal. If you’re moving house or are moving items to storage, you’ll need our mattress and sofa storage bags. 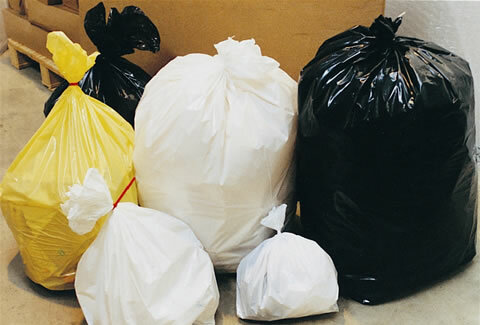 For the things you want to throw out, use our bin liners and waste sacks. Lastly, if you’re looking for bags to give out to customers, our carrier bags (available in plain, glossy white or clear) are perfect. We also sell bespoke carrier bags, should you want some printed with your logo. If you’ve looked through our selection and still cannot find anything suitable for your needs, don’t hesitate to get in contact with us and ask us about our bespoke polythene bags. You can learn more about them here. Of all the wide range of plastic films, polythene (PE) is by far the safest to use. Being chemically inert it does not impart any kind of residue or taste and is impervious to most chemicals, even acids. So it is suitable for every kind of application; all our polythene bags are made from “food safe” quality film. 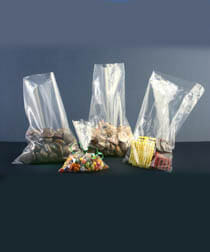 Light duty (especially) and medium duty polythene bags can both cause suffocation if the bag is pulled over the head. Subject to minimum quantities bags can be perforated to avoid this risk, but our normal stock bags are NOT perforated in this way. Heavy duty bags are less conforming and, as such, are very unlikely to represent the same suffocation risk. As part of our range we do offer some self-seal clothing bags which are both perforated and printed with a standard warning notice. The link below will take you straight to them. Are Polythene bags watertight and airtight? The simple answer is NO. Polythene is "air-permeable" so it cannot be used for vacuum-bagging. 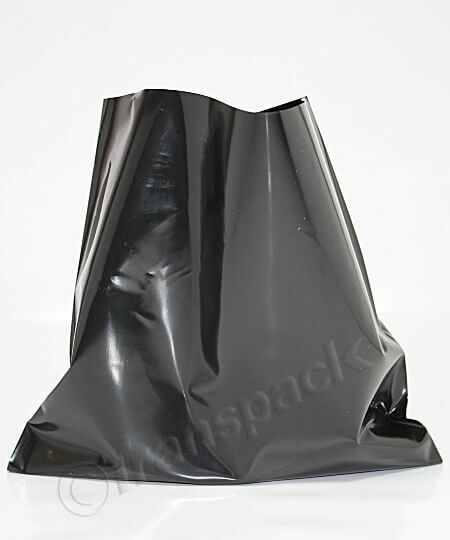 There are special nylon coated polythene bags available for this purpose. Our polythene bags are not recommended for liquids as they are not designed for this, and although they may hold liquid for a short period of time, they will start to leak. Similarly you won't be able to make our polythene tubing into bags for liquid. What "duty" should I use? Light Duty - This is typically the film that is wrapped around a new electrical appliance inside it’s box. It is glossy and very clear. It has a very poor resistance to sharp corners and edges. Because it is so light and "floppy" it can be harder to pack with - especially if the item is nearly as big as it’s bag. Light duty is mostly used as a means of keeping things clean and free of dust. However, if you are simply bagging up such items as clothing etc for storage then Light Duty bags are fine. Medium Duty - is twice the thickness of the above. The clarity and gloss is still good but it will cope with some corners and edges (though, not metal). It is also much easier to pack with as it tends not to collapse as you’re filling it. 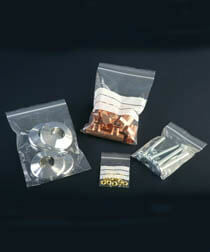 Medium duty is mostly used as a means of collating items together in one pack. If you want to pack such things as cables, card & flat wood modelling kits, or even plastics plumbing & drainage items our Medium duty bags are ideal. Heavy duty - has 3 jobs; to carry weight, to cope with harder and sharper contents and to provide extra rigidity both when packing and when displayed. Builders use this weight of polythene when packing shingle or sand into 25kg bags. If you are still in doubt, ask for a sample or two. Normal polythene is not biodegradable, though it IS "photodegradable". This means it will not break down when buried in a landfill, but bags will break down in sunlight. If you have ever wondered why our countryside isn’t covered in them it is because most bags will break down into dust in less than 12 months. As this subject has become a more global issue recently we have now written a whole article within these pages. See "Plastics and the Environment". On our website most of our bag sizes are shown in millimetres. To convert roughly to inches divide by 100 and multiply by four. E.g. if the bag is 375 x 500 this converts to (3.75 X 4) x (5 x 4) = 15 x 20 inches. It’s not exact, but its very close. Alternatively, go to our "measurements" section. The polythene film extrusion process is complex and affected by external conditions like heat, therefore factories are unable to guarantee the size of bags exactly, and a degree of manufacturing tolerance is required on every polythene product. It should be noted that our measurements are the internal dimensions. Width - Plus or minus 3mm (0.125") or 2%, whichever is greater. Length - Plus or minus 6mm (0.25") or 2%, whichever is greater. The external dimensions are cut to cut and will therefore include a bottom skirt of about 8mm on end weld bags (apart from "grip seal bags" which are measured from the grip seal to the bottom of the bag). Gauge - Plus or minus 10%. Quantity - BESPOKE MANUFACTURE ONLY, Plus or minus 10%. Some "polythene bags" come with their own closure method. This can be a "press-together" gripper (like our "Self Seal Again bags") or self-adhesive tape on a flap. The most common form of closure though, is heat-sealing. This is where a hot wire is pressed onto the top of the bag to weld it together along a thin line. For widths up to 400mm there are very inexpensive machines that do this very effectively and are only hot during the actual welding cycle. You can use this link to view our range of heat sealers. For smaller bags the minimum quantities get much higher. For multiple colours the minimums also get higher. N.B. Polythene does not easily hold a print, there is a tendency for it to rub off. To prevent this happening any film that is going to be printed is specially treated as a preparation. Standard stock bags are not treated in this way; as a result please don’t consider buying a few and getting them screen printed. The print may fall off!